Together they watched the wintry mix of drops and flakes and hailstones fly willy-nilly down from the heavens. It was a good time to stay put. It was a lousy time to try to convince anyone to move. They didn’t even want to move their own selves out of the small shelter they had found. The view outside the knothole was the opposite of a fireplace, but just as hypnotic. Huddled together for warmth, they watched the storm rage, transfixed. The light of day, already dimmed by the storm, faded further, to black. 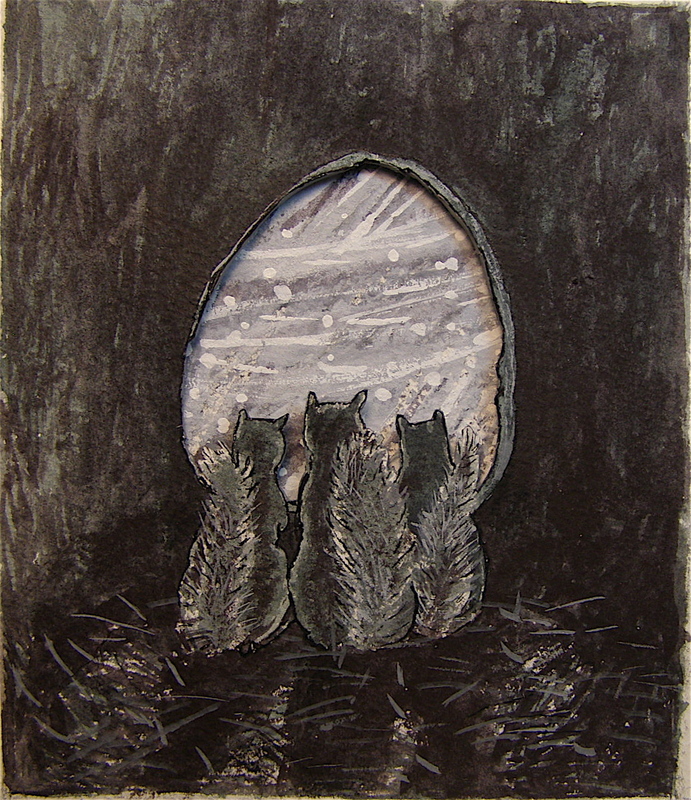 The wild song of the wind, muffled by the thick walls curving around them, lullabyed the three squirrels into sleep.